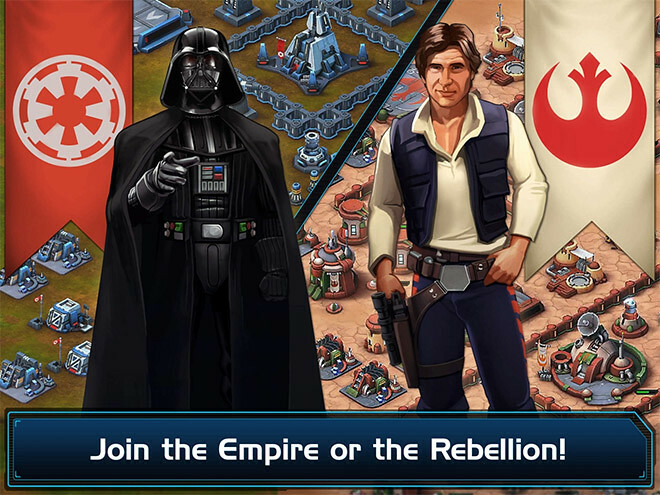 -Choose your side: Will you command AT-ATs and TIE Fighters as the Empire? Or call on iconic heroes like Han Solo and Princess Leia as the Rebellion? -Build and defend your base: Train unique troops specific to each faction, and fortify your base with deflector shields, turrets, heavy artillery, and other defenses! 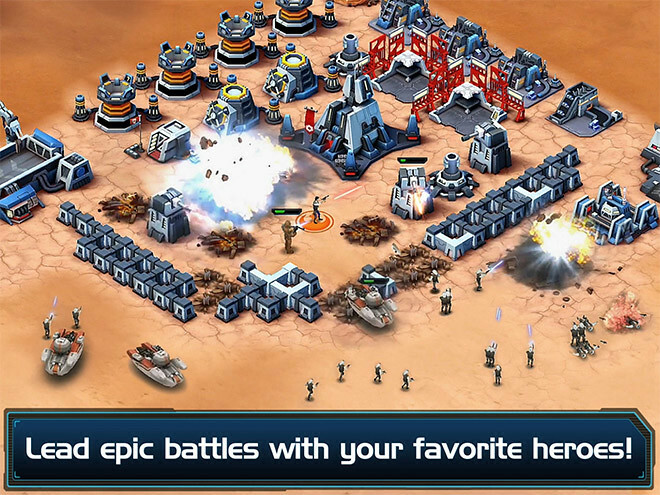 -Lead epic battles: Strategically deploy powerful armies, units, and vehicles against enemies and players around the galaxy! -Form the ultimate Squad: Build strong alliances with friends and other players! 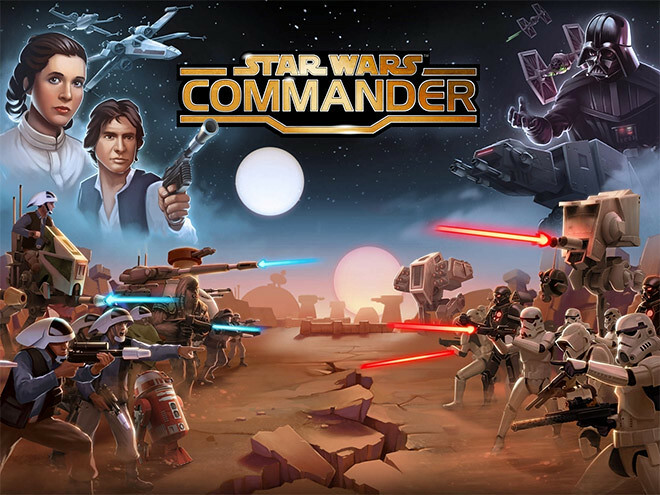 -Travel to multiple planets and complete special missions: Play an all-new story as a valiant leader on the front lines of the Galactic Civil War. -Upgrade your strike team and its defenses: Strengthen your forces with multiple levels of upgrades for each unit! Note that this is a free game but offers in-app purchase options.